Anti-Semitism watchdog unearths British nationalist politician's tweets justifying Holocaust, comparing Israel to Nazis. A candidate for the nationalist UKIP party in the United Kingdom’s general elections wrote anti-Semitic remarks regularly on Twitter, including one which justified the Holocaust. The Campaign Against Antisemitism, a British watchdog, on Friday published its dossier on Captain Paddy Singh, UKIP’s candidate for the Wiltshire North constituency in the June 8 general elections. The tweets were discovered on the Twitter account he operates for his travel agency, Hindoostan Tours, between 2014 and 2015, the group said, adding Singh admitted to writing them and apologized for publishing them. 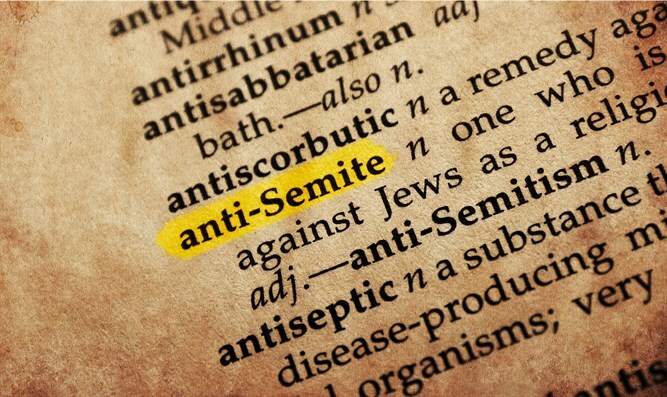 When Campaign Against Antisemitism called Singh, he admitted that he had sent the tweets and offered “total apologies” and said that he should not have commented “spontaneously” after reading articles, but had no explanation for why he had made the comments repeatedly over the years. UKIP has fought critics who, citing many cases of hate speech against Muslims and Jews by representatives and supporters of that nationalist party, said it was a xenophobic far-right group. The anti-EU movement is suspicious of immigrants, especially Muslim ones. One of UKIP’s most senior spokesmen, Gerard Batten, wants Muslims to sign a declaration rejecting violence. And a UKIP European Parliament lawmaker, Stuart Agnew, in 2015 supported banning ritual slaughter of animals both by Jews and Muslims in an apparent attempt to target the latter, though the party’s former leader, the flamboyant orator Nigel Farage, did not support the proposal, which never became policy. However, UKIP, like Labour, the Liberal Democrats, the Conservative party and others, has banned and suspended members who were caught engaging in hate speech.